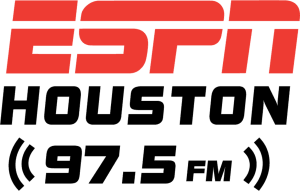 The Harris County – Houston Sports Authority Insider will take you inside Houston Sports each Friday because #WeAreHoustonSports! It was a day filled with hugs and smiles. A day to forget the hospitals and treatments, the pain and the fears that come with cancer. A day to see old friends and meet new ones, to run the same bases their hometown heroes run and get a hit off of one of Houston’s favorite sons – Hall of Famer Craig Biggio. Yes, it was the annual Sunshine Kids Party at Minute Maid Park, hosted by Biggio and his wife Patty. It’s a party they’ve been hosting for more than 30 years now and they probably will host for 30 more. The party started at a high school field, then moved the Astrodome. Now, it’s at Minute Maid, home of the 2017 World Champions. Each year, the party fills up the second the RSVPs go out and each year the Biggio family is there to make sure these patients have a couple of hours where they can just be kids. This isn’t a day when the kids stand in awe of Biggio. It’s one when they greet him like an old friend. Biggio started this to honor an old childhood friend who battled cancer and it just took off. “I got into this with the intent of having fun and seeing where it goes,’’ he said. “For they city to embrace the Sunshine Kids and have my teammates embrace it, it’s been fun, its been great. The Sunshine Kids do as well. “It’s giving these kids the opportunity not only to get away from the hospital visits and thoughts of cancer, but to meet other kids who are also struggling with a cancer diagnosis,’’ Wisler said. “It’s knowing they’re not alone. The interaction between the Biggios and the Sunshine Kids is amazing. Jillie started coming to the event when she was 15 and had been diagnosed with acute myeloid leukemia. Today, she comes back to volunteer and help out other children battling a variety of cancers. “I wanted to give back to the people who have given to me,’’ she said. “It’s fun running the bases and acting like an Astro. Wisler said the only tough part of the day is knowing there are children who can’t be there. But for those who are here? “It’s special to be around your best friends who know what you’re going through,’’ she said. And to get a Hall of Fame hug, an autograph and a hit off one of your heroes. For more information on volunteering with the Sunshine Kids or to make a donation, go to www.sunshinekids.org.